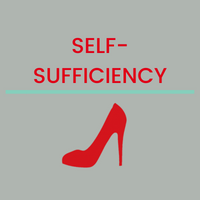 and take the steps towards a life of self-sufficiency. day of work because I didn’t have the proper stuff to wear. Your gift can support one woman's first appointment where clothing, resume preparation and interview coaching give her hope for the future. Once she has secured her job, your gift can enable one woman to forge ahead with confidence, with a new career wardrobe and access to ongoing training. Your gift can support the development of essential training programs and materials for our Career Coaches so we can empower more women to achieve success. Your gift can secure a seat for one woman in one of our workshops, which will give her essential skills on her journey towards self-sufficiency. Your gift can support a woman taking our full workshop curriculum, from her first course, through her graduation. Your generous gift can support a woman every step of the way, from her first appointment to achieving financial freedom. Bottomless Closet encourages donors to check with their employers for possible matching gifts.